My study of the symptoms of disease reveal symptoms are merely the names given to the healing states of the body's recovery. This is not a trivial revelation. In doyletics we find that the body's healing states can be stored as physical body states, and thus can be triggered later in the absence of a disease agent. Lacking an understanding of this, doctors will say the disease had recurred, even if their own medical references say a recurrence is impossible. That happened to me when I had the healing states of red measles at age 35. My mother who raised 6 children assured me that I had the disease before I was five, an age at which bodily states are stored as doyles. Poison ivy is another example. If a rash occurs from direct contact before five, the healing states of itching, redness, scratching can recur later by a doylic trigger such as someone merely noticing a bit of poison ivy around them. Lacking an understanding of rashes as recapitulated healing states, they say, "I have poison ivy." Shingles is another example. If you have chicken pox before five, the healing states are stored and can recur as shingles, usually after fifty years old. Doctors claim the virus remains to cause this, but I wonder if any doctor has actually found the virus during shingles. Doctors seem to claim a reality of a chicken pox virus behind the symptoms without ever proving there is one. These same doctors cannot explain why some people like me never have shingles, and yet I had chicken pox. You see, my chicken pox happened at 7 or 8 years old, and no doylic storage of its healing states happens after 5. I mention these cases mainly to explain how symptoms are created to name the healing states of a disease because the symptoms are the outward sign of the concealed inner reality. 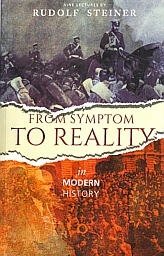 A similar thing happens with the events of history as Steiner reveals in this book. One can only vote for what one personally desires and not wipe out the personality. How can that personal vote be such that it does not infringe on the personalities of others? That would require a threefold society, one in which the three separate areas of economics, state, and culture remain completely separate without coercion. Steiner attempted to install a threefold society but lacked the ideas for implementing it. The necessary ideas arose in one Hungarian immigrant to the United States some forty years later, namely, Andrew Joseph Galambos, who described how a non-coercive society which he called the Natural Society might arise, and detailed plans for implementation such a society. When the Consciousness Soul gets tired of the dead machinery of our so-called modern industry and even deader machinery of our so-called government, the means of a solution are waiting for it in the ideas spelled out by Galambos in his Volitional Science courses(2). In a Natural Society, one's soul will never be killed when one votes. 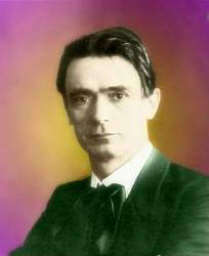 In my upper 30s I first discovered Rudolf Steiner and began reading his works. At age 75, after reading over 211 of his some 300 books extant, I am still reading and studying his lectures and books. Each new Steiner book offers mind-boggling concepts that are new to me and these act as a lure to my opening and reading the next book. In my earlier work in business, I changed jobs about every three years, not content to repeat my successes at just one company, but take on challenges at a new company. 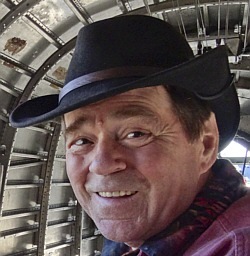 When I took retirement at age 55, I knew well by then that I wanted to spend the rest of my life studying, learning, and writing so that others might benefit from my work. This kind of active learning life into old age is possible to anyone who wishes to expand their knowledge, but alas as Steiner points out below, it rarely happens today. [page 110] A man who is prepared to continue his studies, to expand his knowledge, a man who remains plastic and capable of transformation is a rarity today. This was far more common amongst the Greeks, at least amongst the intellectual section of the population, because development did not cease in the early 30s. The forces inherited at birth were still very active. They began to encounter the forces leading to death; a state of equilibrium was established at the midway stage of life. Today this situation has come to an end; the majority hopes to be 'made' men, as the saying goes, by the age of 27. Yet at the end of their 30s they could recapture something of their youthful idealism and go forward to wider fields if they really wished to do so! But I wonder how many there are today who are prepared to make the readjustment necessary for the future development of mankind: to develop a constant readiness to learn, to remain plastic and to be ever receptive to change. This will not be possible without that active sympathy for others of which I have already spoken. Our hearts must be filled with a tender concern for our neighbor, with sympathetic understanding for his peculiarities. And precisely because this compassion and understanding must take hold of mankind, it is so rarely found today. [page 117]The question now arises; what do these forces which are active in the universe accomplish apart from bringing death to man? It would be a mistake to imagine that their sole purpose is to bring death to man; that is only a secondary effect. It would never occur to anyone to say: the function of a railway engine is to wear down the rails. Yet that is what actually happens; the engine gradually wears down the rails, it cannot do otherwise. But that is not its function — it is designed for a different purpose. If one were to define a locomotive as a machine whose function is to wear down the rails, one would obviously be talking nonsense. Nonetheless there is no denying the fact that there is a connection between the wearing down of the track and the nature of the locomotive. It would be equally mistaken to say that the forces in the universe which bring death to man exist for this sole purpose. This is only a secondary effect. Their real function is to endow man with the capacity to develop the Consciousness Soul. You see how close is the connection between the Mystery of Death and the evolution of the fifth post-Atlantean epoch, and how important it is that in this fifth post-Atlantean epoch the Mystery of Death should be revealed to all. For the task of the forces which as a secondary effect bring death to man is to implant in him, in the course of his evolution, not the Consciousness Soul, but the capacity to develop the Consciousness Soul. Yes, people rebel against giving up their chauvinism, their near-sighted patriotism, just like teenagers rebel against their parents: they know they'll have to give up certain things when they're parents themselves and want to hold onto them as long as possible. One cannot expect teenagers to understand this, to take time for a moment of reflection as to the reason for their rebellion. But most humans are the same as teenagers, rebelling against the kind of reflection that would show where they stand in evolution today. This prevents them from understanding the Mystery of Evil; these are the very same people who cavil in despair, "Why does God allow bad things to happen to good people?" If, instead feeling hopeless despair, they held that question hopefully as an unanswered question, and worked towards an answer, one might come to them. There is no Easy Street to understanding these matters today, and few people care to dote upon them at all. Meanwhile the rails go into worse repair, train wrecks increase, and the entire system of coercive bureaucracy is headed for a collapse because it is endemically flawed. Rightly understood, those votes which kill the soul are the very ones which prop up this flawed coercive system, and when they are withdrawn, the decadent structure will falter and collapse. Understanding this, one would not feel disappointed, but rather encouraged when the percentage of people not casting soul-killing voting increases each year. One cannot build freedom by fighting against a system. Americans fought the British to get rid of "taxation without representation" did we not? And what do we have now, taxation with representation which is far worse and higher than under the King we fought to get rid of. If one dances with the forces of coercion, they get stronger. It's like wrestling with pigs, you both get dirty but the pigs love it. If this does not make sense to you now, have patience, it will later. Feels unfree, such as when one casts a soul-killing vote in a ballot box. Remarkably the one freedom not currently infringed by the coercive bureaucracy in the USA is the right to vote or not. But, one suspects that one is heading for a sorry end as in Australia where, as I understand it, every registered voter is forced by law to cast soul-killing votes. [page 153] One day I was defending spiritual values in a meeting attended by hundreds of my students when only four members who had been sent by the party executive to oppose me were present; nonetheless they made it impossible for me to continue. I still vividly recall my words: 'If people wish to play a part in future evolution, then liberty of teaching and liberty of thought must be permitted.' 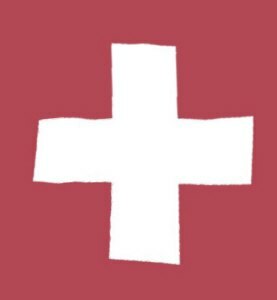 Thereupon one of the stooges sent by the party leadership declared: 'In our party and its schools there can be no question of freedom, but only of reasonable constraint.' These things I may add are profoundly symptomatic of the forces at work today.